Dragon’s Lair Comics & Fantasy of Austin, Texas has announced the opening of its first franchised store in Bellevue, Washington. The new Dragon’s Lair Comics & Fantasy in Bellevue’s grand opening is set for Friday, May 14th. David Miller, 46, who will operate the new 1,700 square-foot store, is a lifelong comic book and science fiction reader as well as serious gaming aficionado. 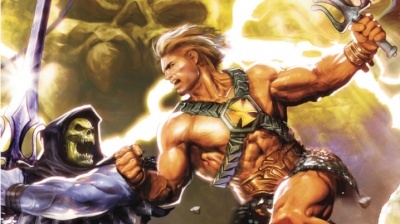 Miller’s interests mirror the broad product mix of the Dragon’s Lair stores, which feature comics, games, manga, anime DVDs, collectibles and graphic novels. Dragon’s Lair’s Austin location, one of three Dragon's Lair Comics & Fantasy stores in Texas, has been nominated three times for the” Eisner Spirit of Retailing Award” and recently won “Best Store” and “Best Store Design” honors in the Game Manufacturer's Association's inaugural Power Retailing Awards. 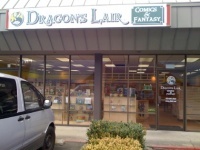 Dragon’s Lair Comics & Fantasy is currently planning to add two more stores in the Seattle area and is looking for qualified franchisees for the locations. While there are a number of multiple store chains of comic book/hobby gaming stores, nothing like a nationwide franchising program has ever managed to flourish for any length of time.